PARIS (Reuters) - Monaco's Prince Albert and his two sisters said a new film in which Nicole Kidman plays their late mother, Hollywood actress Grace Kelly, was a "farce" that bore no relation to reality. 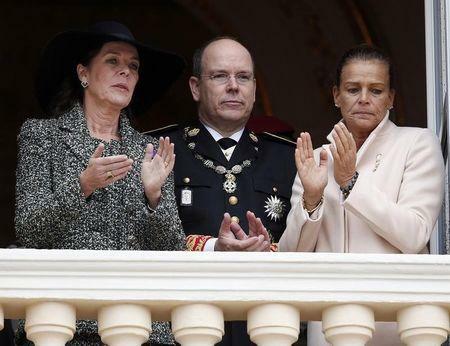 Albert, monarch of the tiny Mediterranean principality, and his sisters Princess Caroline and Princess Stephanie said "Grace of Monaco", which open this month's Cannes Film Festival, was based on "erroneous and dubious historical references". Kelly, star of such Hollywood classics as "To Catch a Thief" and "High Society" as well as Alfred Hitchcock's "Rear Window" and "Dial M for Murder", became Princess Grace when she married Albert's father Prince Rainier of Monaco in 1956. Rainier is played by British actor Tim Roth in the film. "Grace of Monaco" was originally slated for cinema release last November but is now set to open at Cannes on May 14.